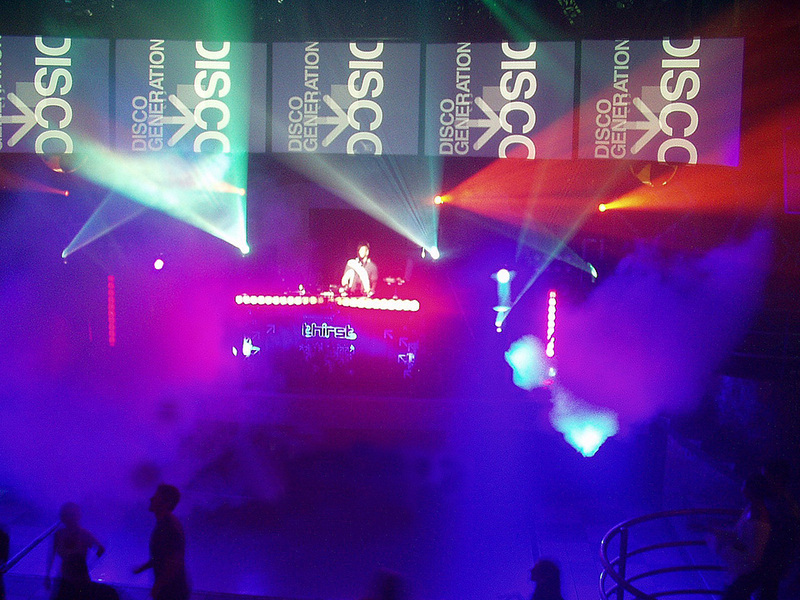 We bring the atmosphere, you bring the people. 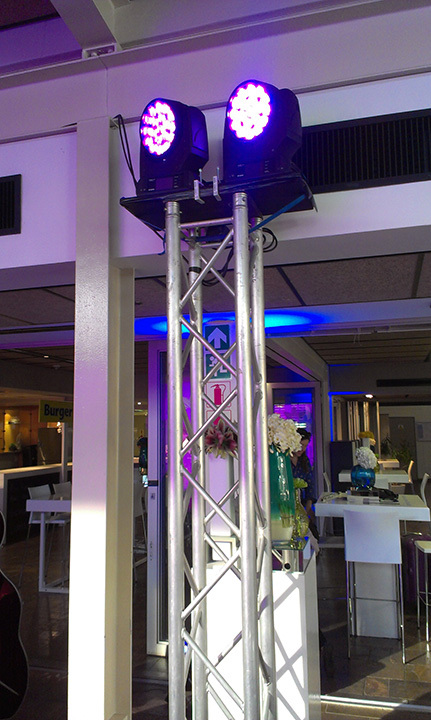 SMD Technical supply sound systems for every type and size of function. 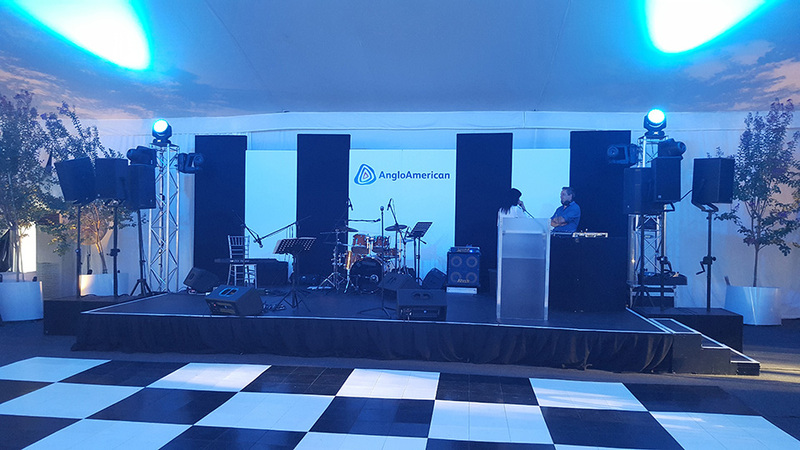 They spec the most economical sound system to suit the size and type of function, taking into consideration the type of event, the size of the venue and amount of guests. 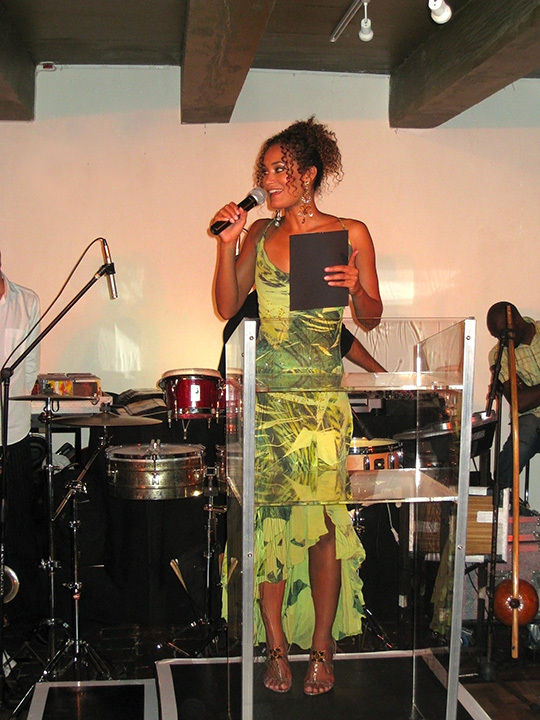 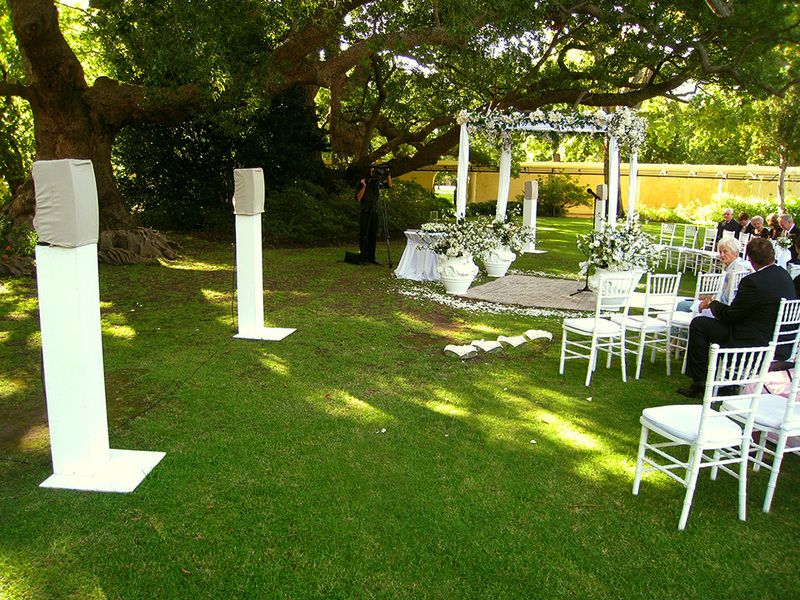 From large bands like Freshly Ground and Johnny Clegg to smaller quartet artists, wedding ceremony and receptions, exhibition stands and even battery-powered systems for yachts & boats, SMD will supply a sound system solution to suit you. 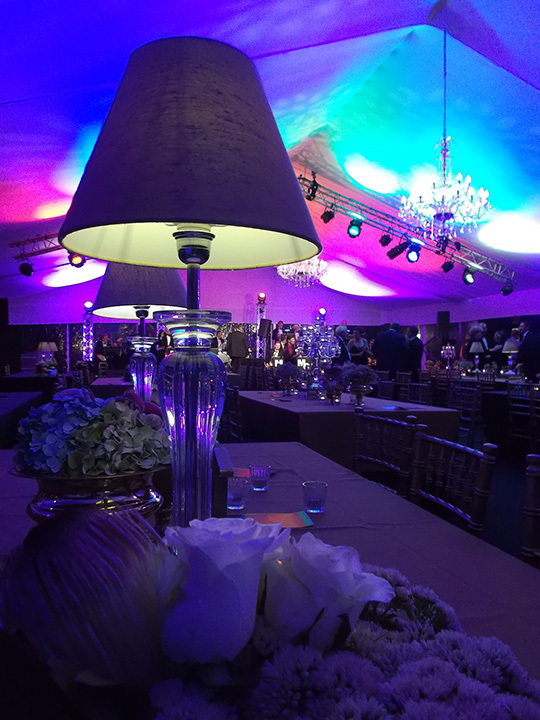 SMD Technical stock a vast array of various lighting product lines including standard conventional generic lighting, intelligent & programmable lighting fixtures, chandeliers and décor lighting products and plenty LED lighting products for any size function. 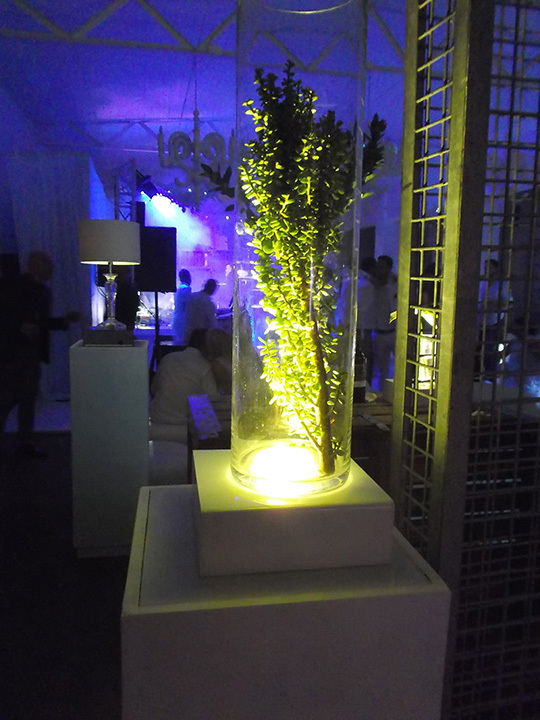 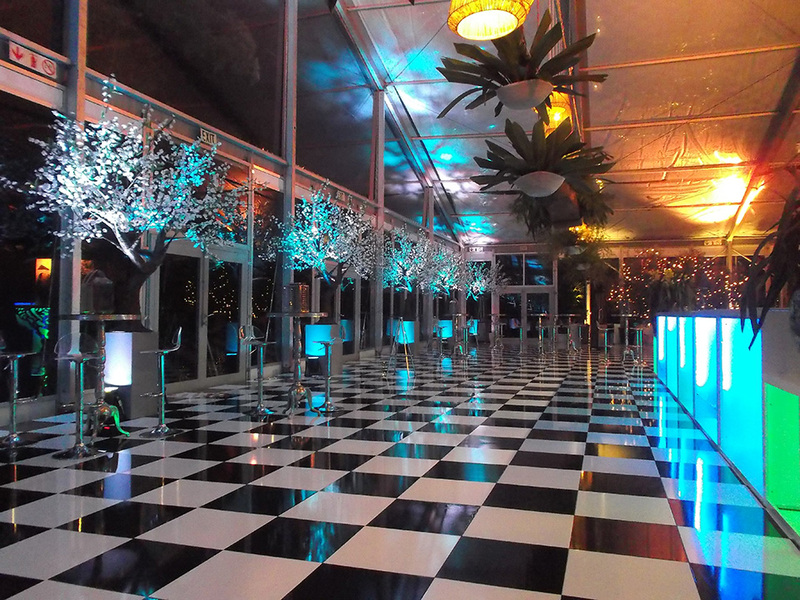 They are able to assist and advise which lighting best suits a specific theme and their designs using their vast, unique product range together with 30 years of industry experience results in guaranteed event success. 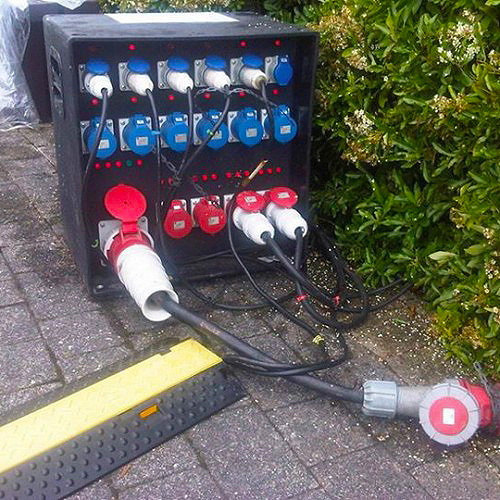 SMD design and build many of their own unique products, enabling them to uniquely solve common industry problems and by utilising these products, clients save money by using smaller generators. 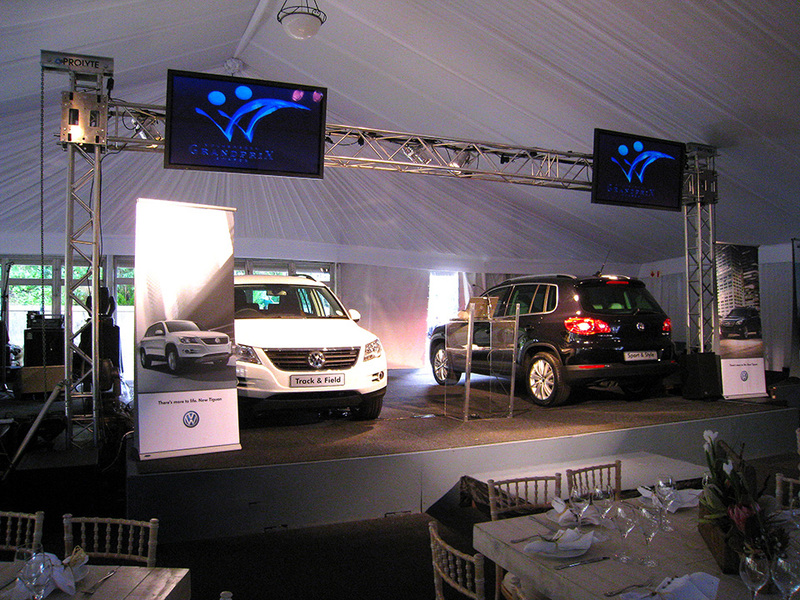 Which in turn, also reduces the amount of diesel required for an event, all adding up to money saving for the client. 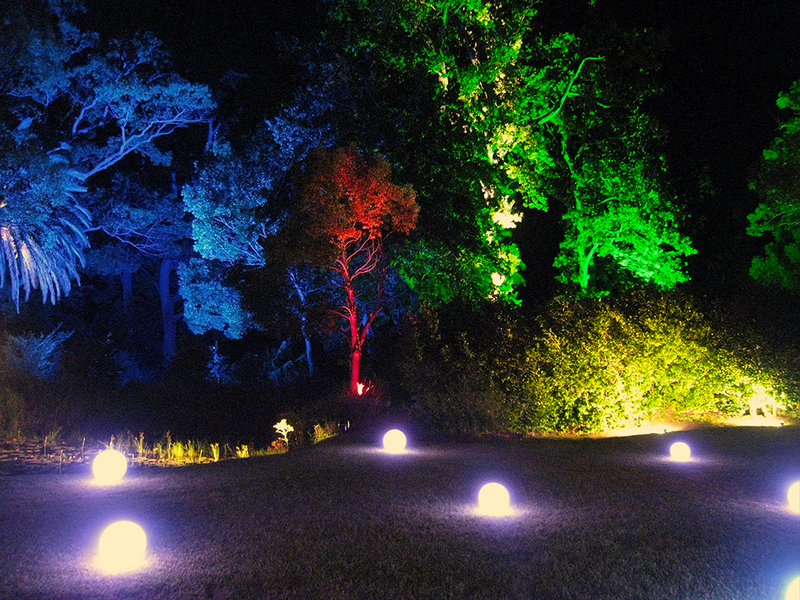 The various extremely successful and ever-popular range of battery-powered lighting products solves many event technical challenges, placing SMD in an unrivalled territory to competitors. 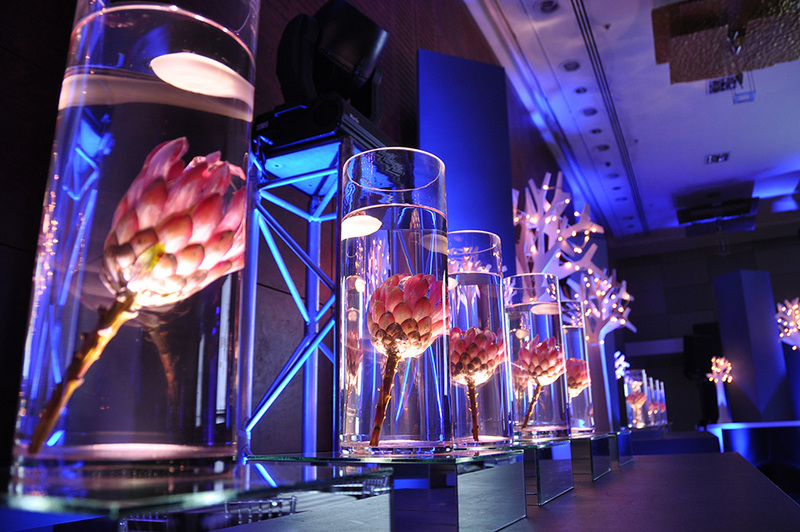 SMD are one of the few companies that provide specialist décor lighting including a large variety of chandeliers, fairy light curtains and strings, frosted naked bulbs, vintage filament décor bulbs, decorative LED naked bulbs and festoon lighting cable runs. 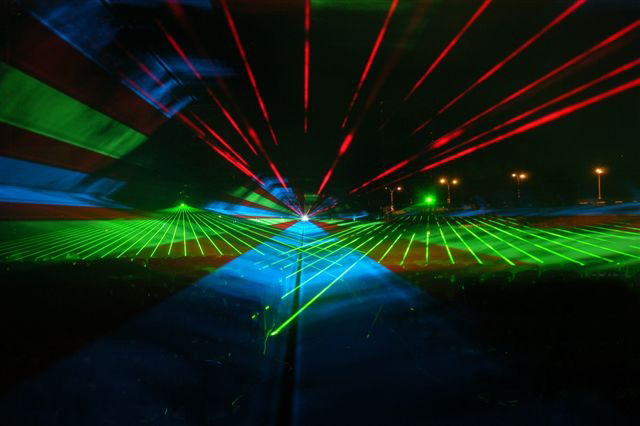 SMD Technical can supply all visually related products, such as video projectors, projection screens, LED walls, plasma screens and related switching equipment. 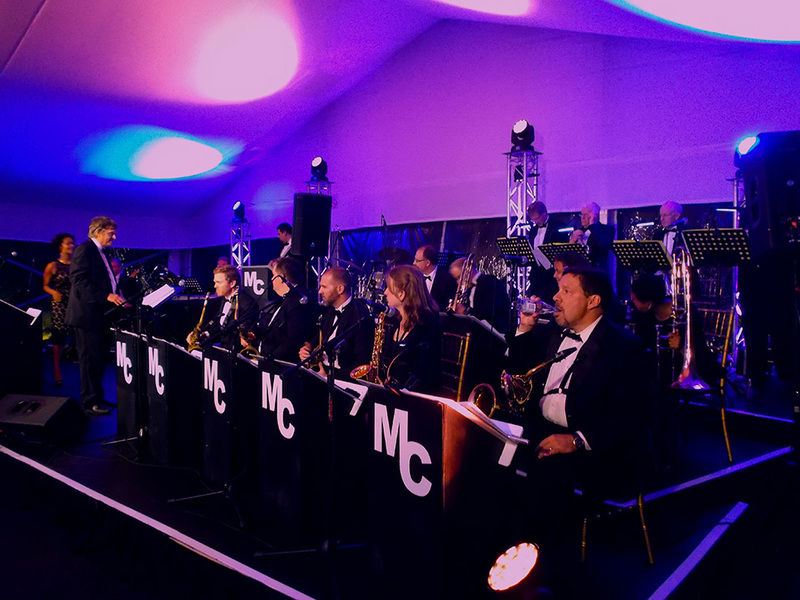 Events from corporate product launches and conferences right through to private birthday parties and weddings, SMD can supply any AV solution. 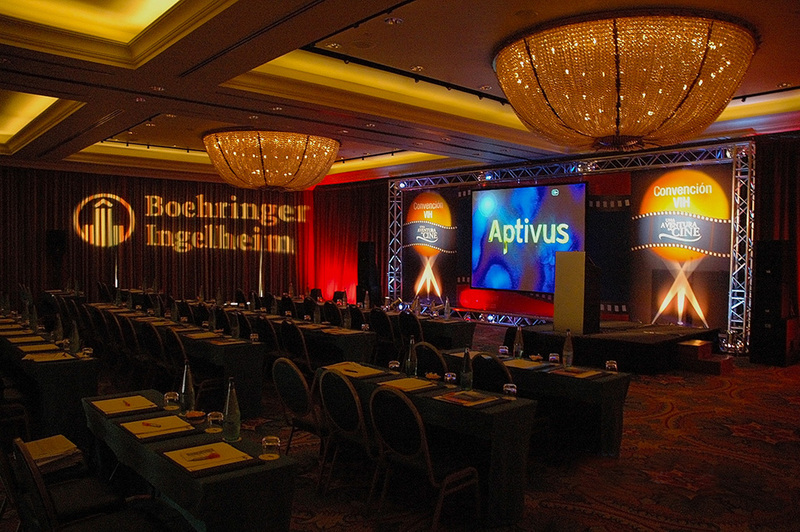 Associated services include live relay to screen via camera, Twitter and Instagram walls and even Xbox and Wii gaming consoles for hire, which is proving ever-popular in the corporate events and team building functions. 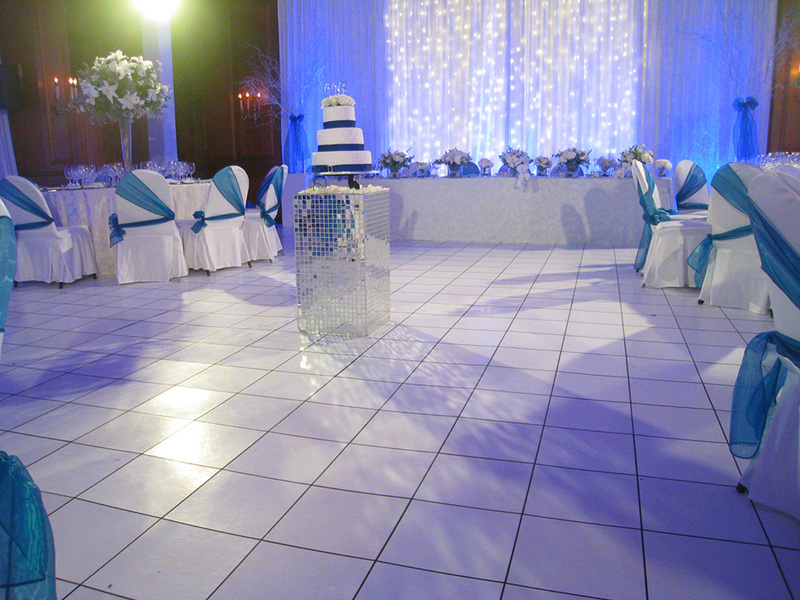 Contact us for more information about the service and how to book it. 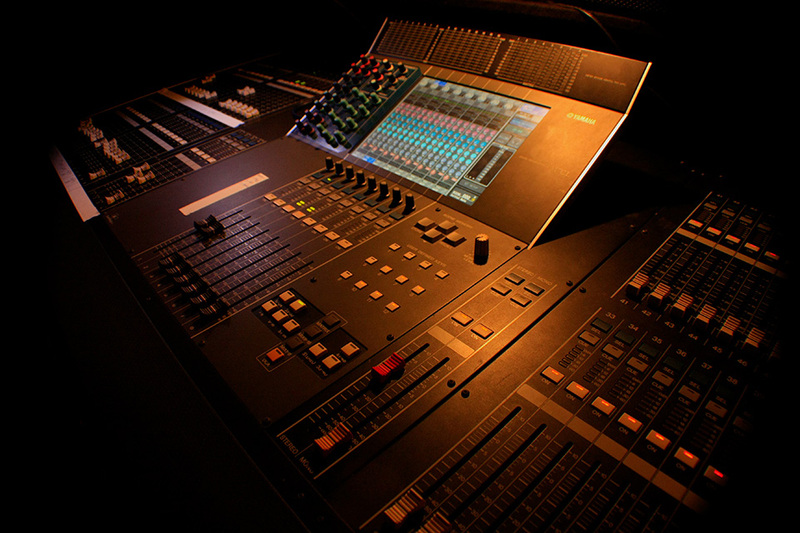 Power is always in short supply in most venues. 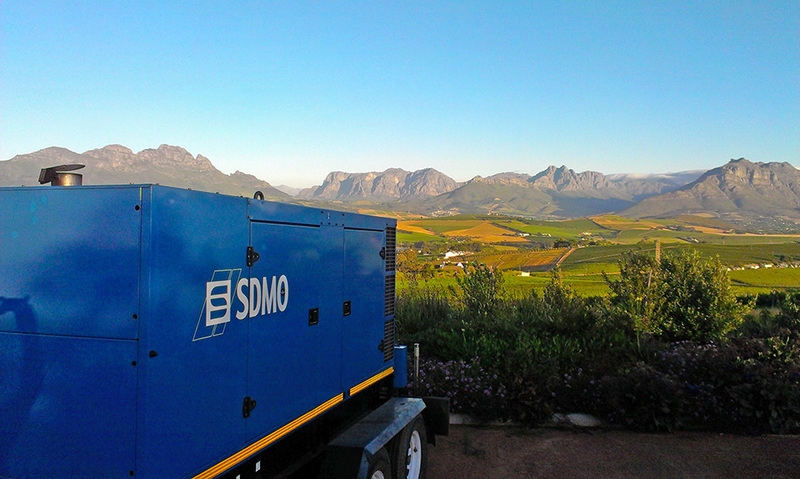 SMD stock silent running generators of the highest quality from 7kva to 110Kva machines at very competitive, daily rates. 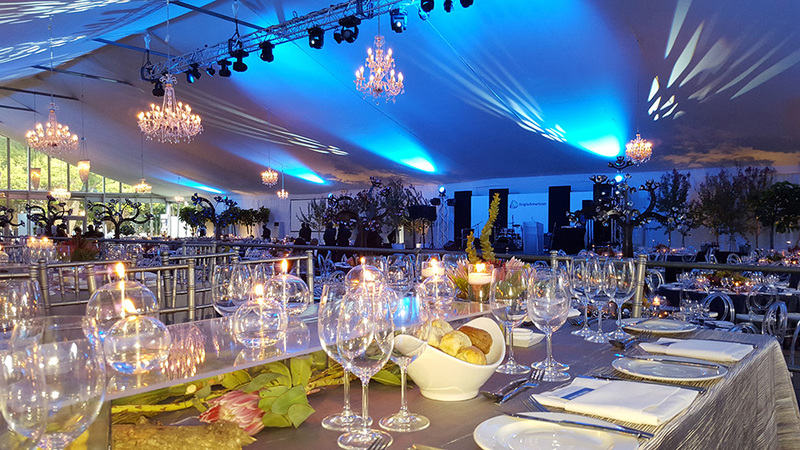 SMD also supplies all power distribution and cabling for the function technical requirements as well as temporary kitchens. 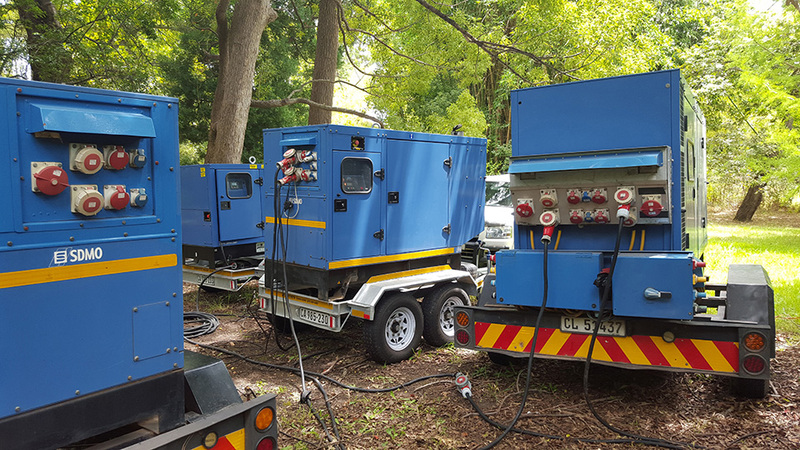 All generators and temporary power distribution are tested and receive a Certificate of Compliance as per the Health and Safety law. 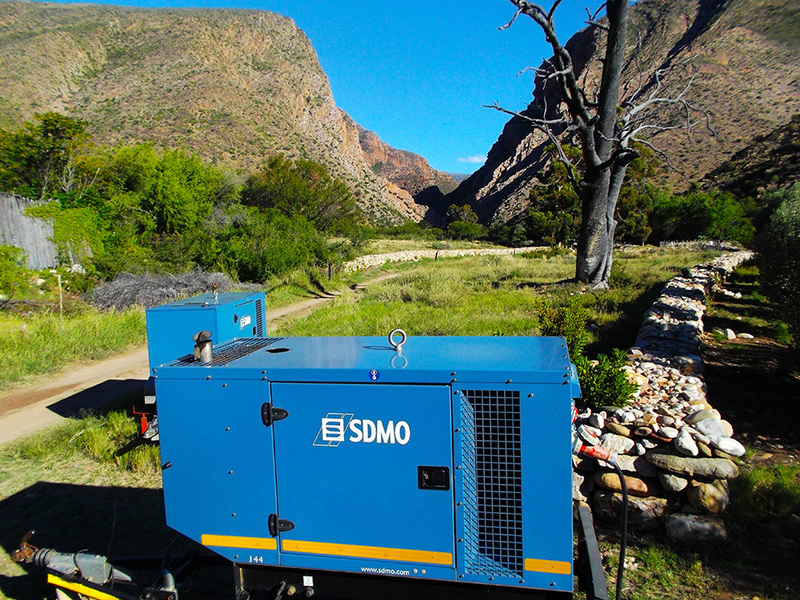 SMD now supply a unique renewable energy option with solar batteries and inverters for smaller functions in remote locations, where there is very little or even no power. 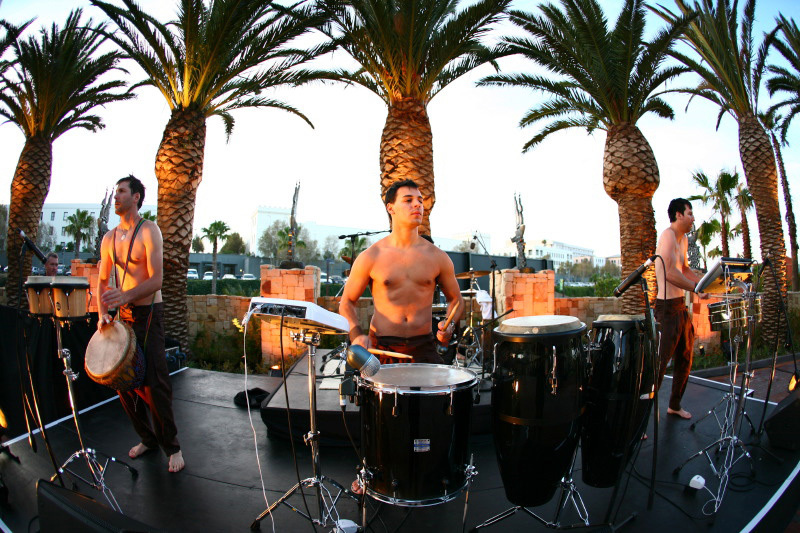 These are the building blocks of the event industry and are almost essential in any event. 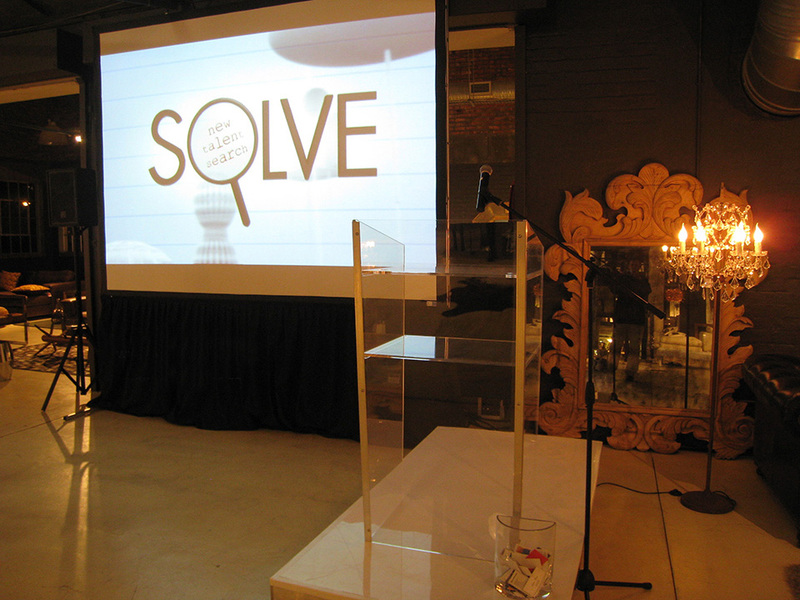 The stage decks are aluminium framed ply based decks and are used for band stages, presentation platforms, wedding aisles and fashion ramps. 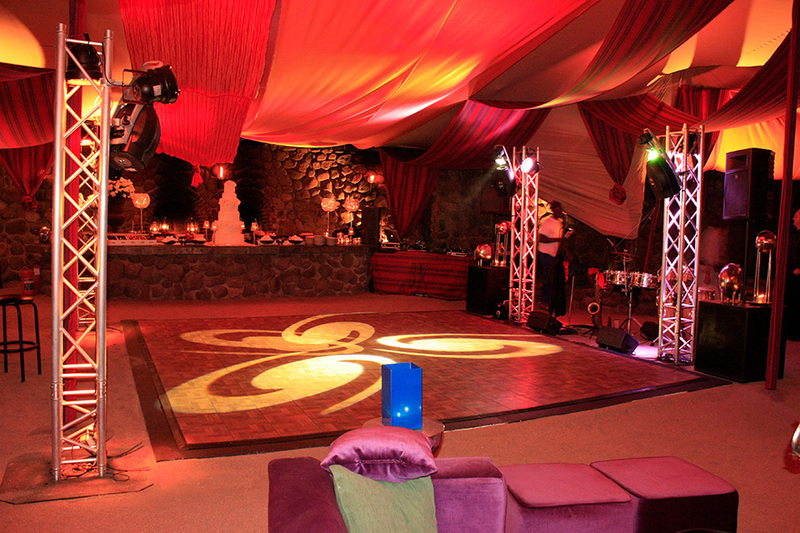 Professional trussing is used for truss totems and lighting stands and for many larger events, motorised trussing structures for technical or décor element support is required. 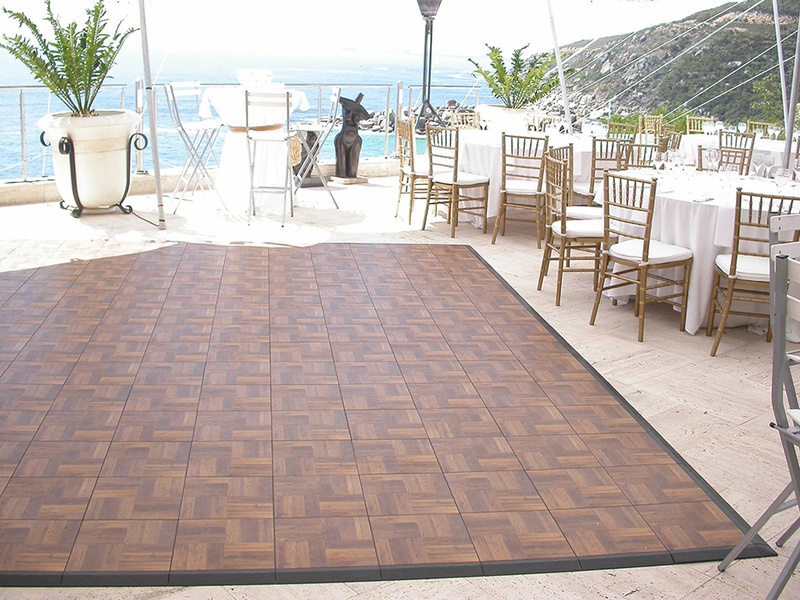 SMD stock the Tempolite “quick lock “ system of toughened plastic dance floors which are available in black, white, black and white checker as well as “parquet” oak wood finish. 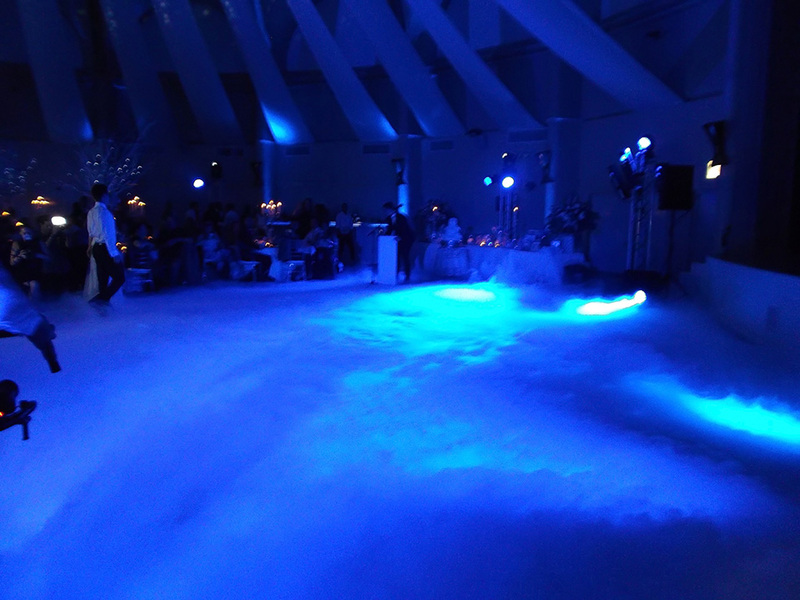 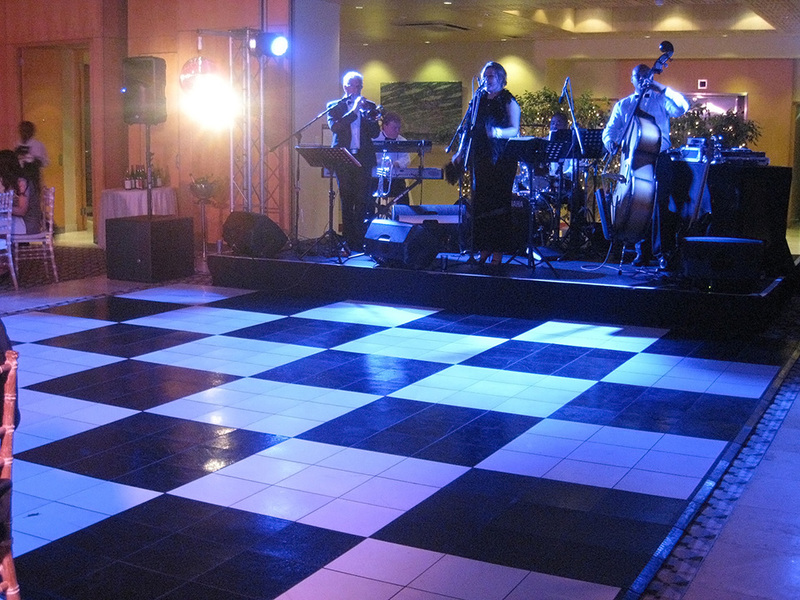 The alternative, especially in the wedding industry, is the white ABS dance floor often supplied with decals or the black & white checker ABS dance floor option. 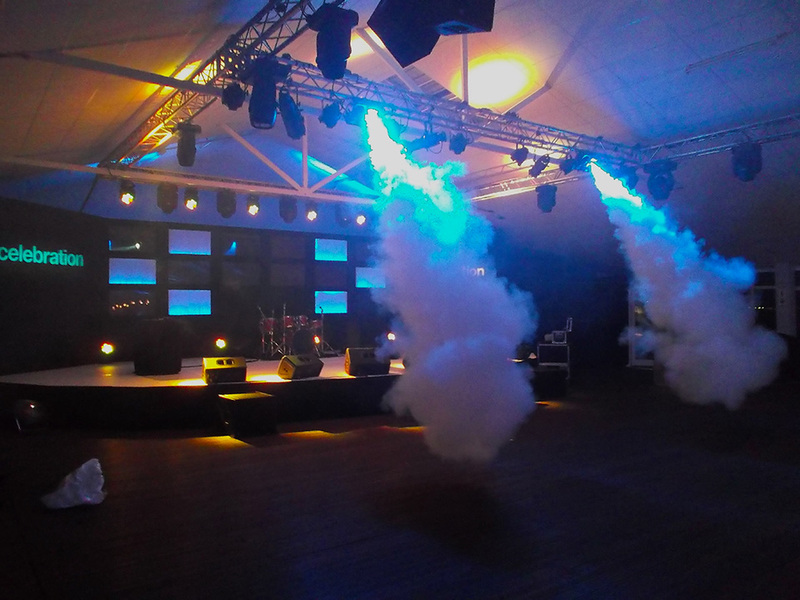 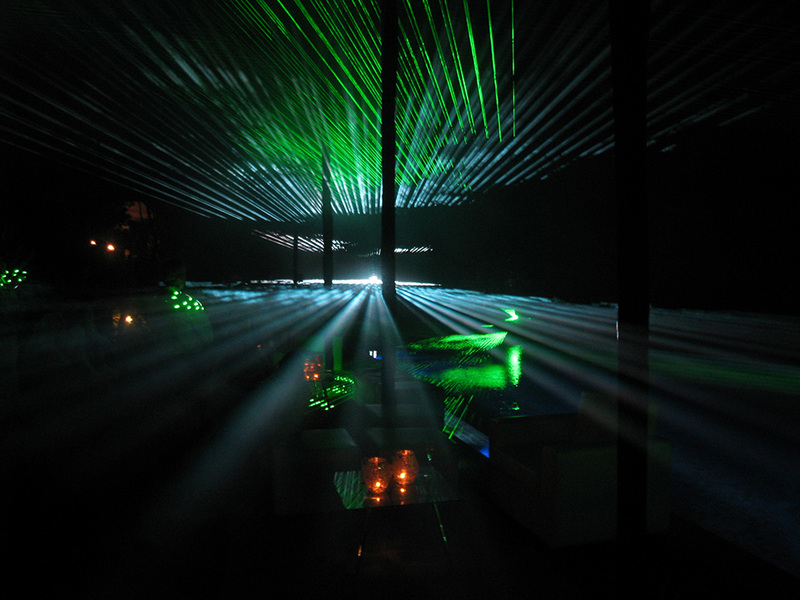 Special effects are used to top & tail many events and SMD supply many options in this category including: Laser Shows, Flame Generator Effects, Smoke & Haze Machines, Low Lying Fog Machines, Scent Machines, Bubble Machines & Flame Machines.